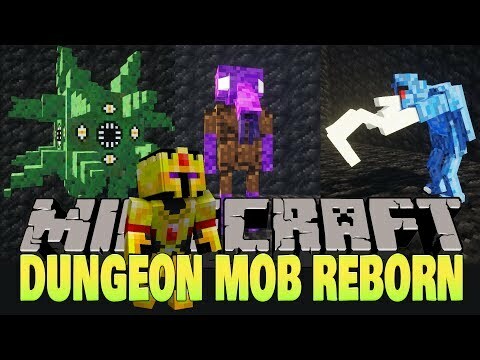 An overview of the mobs (with pictures and descriptions for each) follows. Those claws aren’t just for show. Despite the ridiculousness of only having claws for hands, the hook horror is a dangerous foe. It is quite adept with its hooks, capable of quickly eviscerating flesh and rending armor, and – against creatures that wield items – capable of ripping things right out of your hands. 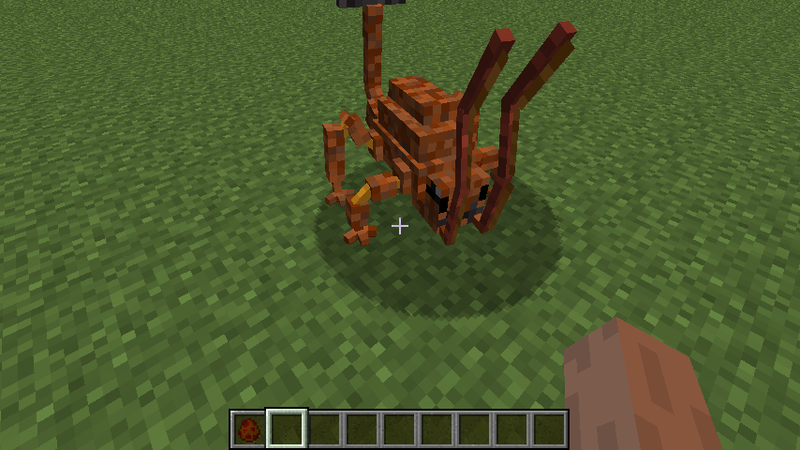 Enchanted armor may be better able to hold itself together against this creature’s onslaught. It will also occasionally – and without warning – whip itself into a frenzy, barraging its target with a flurry of claws. Three words exemplify the umber hulk: big, nasty, and scary. 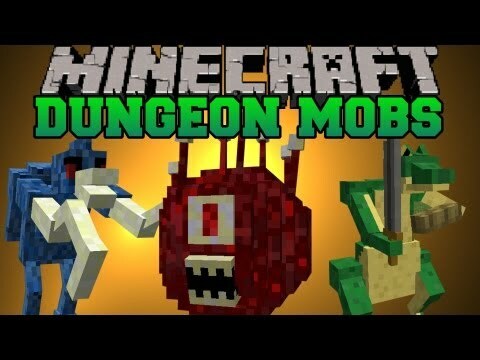 Rarely spawning in the depths of the world, this is not a foe to be underestimated. Fortunately they are rather slow. But that is their only weakness: they are incredibly tough and ridiculously resilient, immune to fire, and hit like a sledgehammer. Only the best-geared of adventurers should attempt to do battle with these beasts – to engage them otherwise is folly. By itself, the shrieker is completely and utterly harmless. 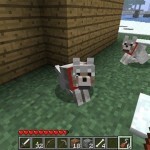 You can walk right up to one, and it won’t even attack you! They don’t move, and while they might shake a bit, they’re not intelligent in the least. However, shriekers aren’t named ironically. When exposed to light, or when attacked or otherwise jostled by a creature, the shrieker emits an ear-piercingly loud trill, which attracts the attention of nearby creatures – making them appear suddenly by the shrieker, without warning. 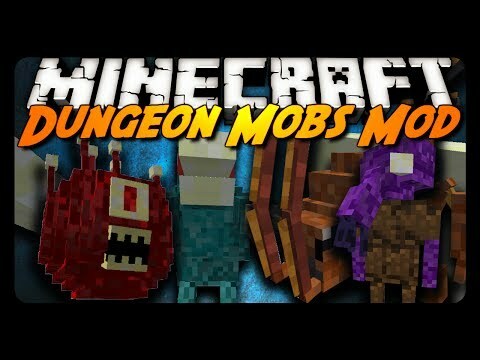 One way to think about a shrieker is that it is basically a living mob spawner… that can spawn any hostile mob (native to the overworld), and can summon a fairly large group at a time. Like a zombie. But worse. In essence, the ghoul is another undead thing, similar in nature to zombies. 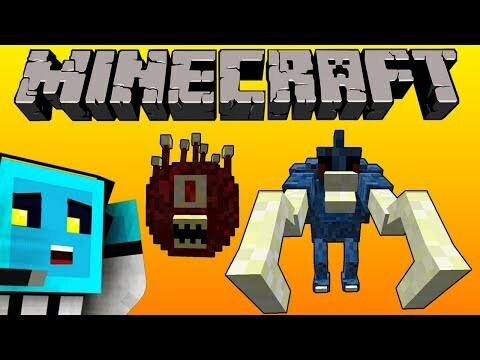 Compared to zombies, however, ghouls are tougher, faster, and more dangerous: when you are struck by a ghoul, you are almost entirely paralyzed for a few moments. That might not be so bad if there is just the one ghoul, but if there are more… well, that will probably not end so well. However, unlike zombies, you won’t find ghouls on the surface. 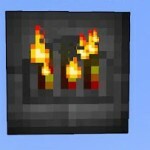 While they burn up in sunlight just like all other undead, they are only found underground (no higher than 60 blocks above bedrock). 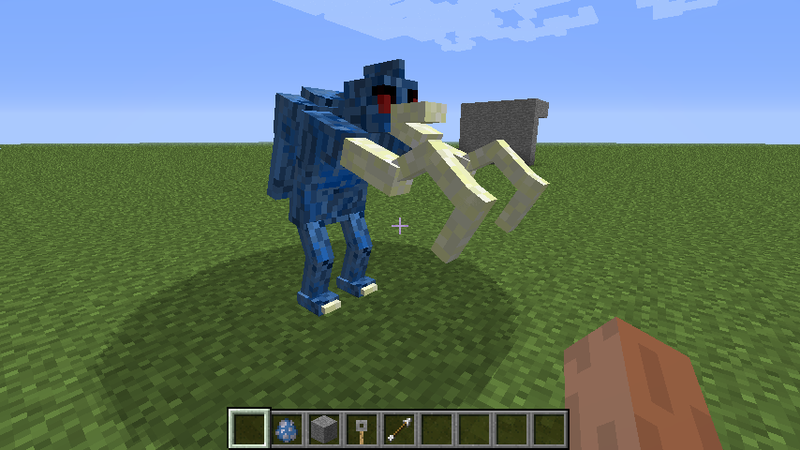 The ghoul texture is based on the Painterly Pack’s zombie skin. Rust monsters are denizens of the underground that feed on metals, both ferrous and precious, though they prefer ferrous metals. You won’t see them outside (usually), and they will only appear near veins of their preferred meals, even if they’re not exposed. 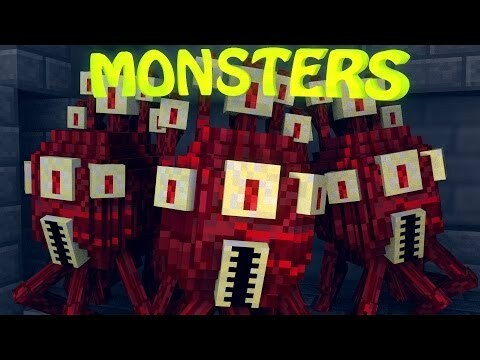 In this way, having these creatures around might actually be somewhat helpful, as they can lead you to iron and gold veins you might’ve otherwise missed. 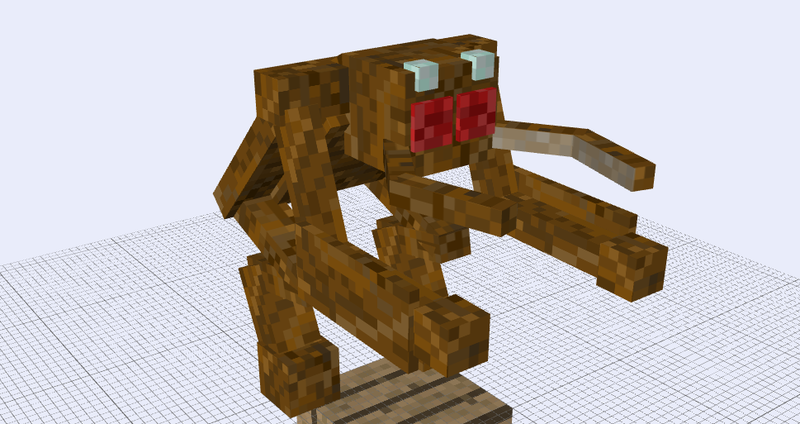 Also, like most other hostile mobs, rust monsters do not spawn in well-lit areas. These creatures are not particularly interested in you, unless you happen to be wearing, wielding, or just carrying metal somewhere on your person, at which point they will attack you viciously (or if you attack them first). 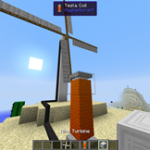 Not only do they attack you, but they will also do severe damage to iron or gold items on your person – and if you hit them with an iron or gold weapon or tool, it will damage that item incredibly more than it would normally. If you get caught in a situation with a rust monster and would prefer to retreat than engage in combat, you can drop items it likes to eat to draw its attention away from your metallic hide. 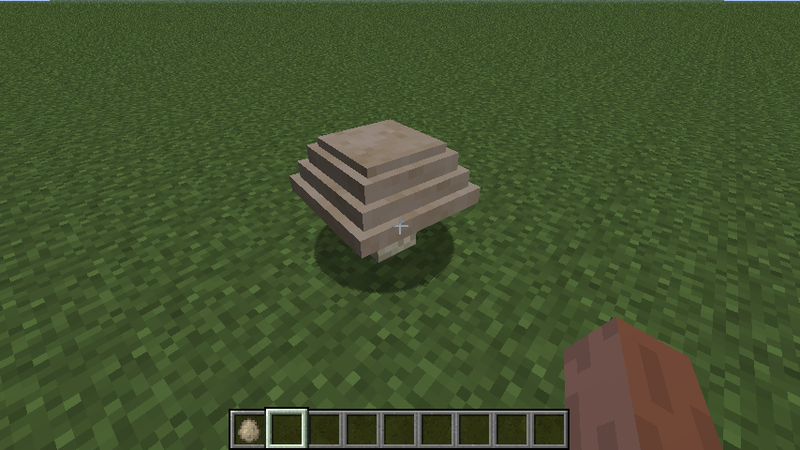 Dropping an iron ingot might not be fun, but if it saves you oodles of durability on your iron armor and weapons, it might be a worthwhile sacrifice. Of course, once you attack the rust monster yourself, it suddenly is more interested in making you dead than eating whatever you happen to drop… and, of course, once you’re dead, you drop everything in your inventory. So the rust monster will gleefully consume every last bit of metal you had on you before you manage to get back to where you died. 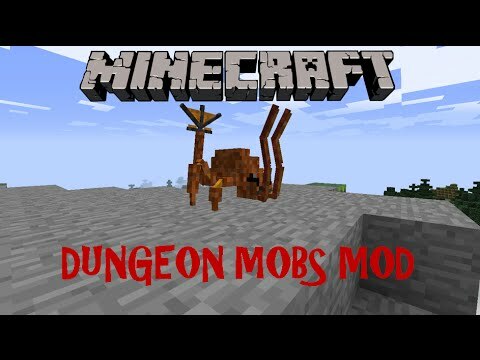 Dungeon Mobs is intended to be a more dangerous analogue to Mo’ Creatures. 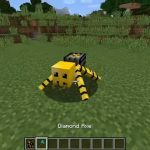 Instead of providing new animals that liven up the overworld and improve ambiance, this mod introduces a variety of new hostile mobs, all of which hate you. However, it’s not just enough that they hate you. 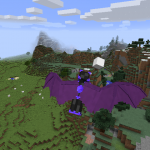 Each of the mobs in this mod presents a different challenge, requiring you to think tactically about how to surmount the difficulty they pose. While the old stand-by of “hit it with your sword” may work for some, that may not always be the best – or even viable – solution. 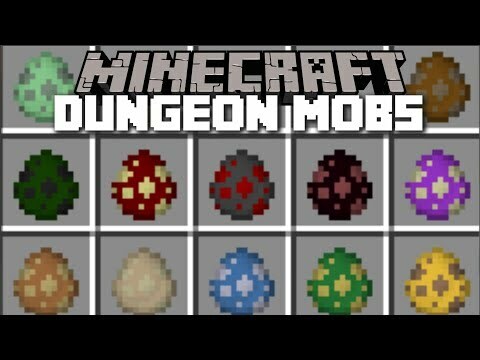 Minecraft mod review: hostile dungeon mobs! 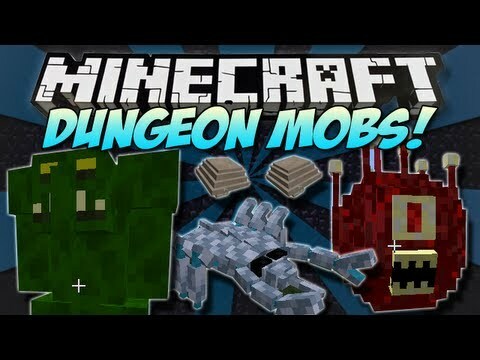 Minecraft cave mobs mod / fight and defeat evil monsters! !..